Of Copyright and Churches, Oncoming Trains and Change - WorshipFuel by CCLI® - Worship, Music, Copyright ... add fuel to your worship! What if we’re all watching the Grammys a few years from now and there’s no Best New Artist award because there aren’t enough talented artists and songwriters who are actually able to make a living from their craft? His timing was deliberate. 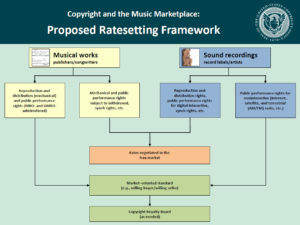 A few days before the show aired, the US Copyright Office had released the result of their yearlong study on the state of US copyright law—the 246-page Music and the Copyright Marketplace. Their findings? US copyright is an out-of-date system that has not kept up with technological advances, and whose built-in inequities disadvantage songwriters and artists in the digital age. There is a widespread perception that our licensing system is broken … From a copyright perspective, we are trying to deliver bits and bytes through a Victrola. 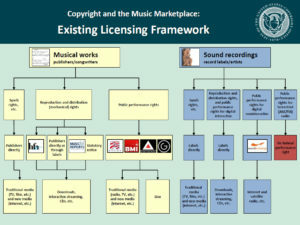 “The licensing process should be more efficient”: Copyright law is inherently complex. (The report on this complexity is complex of itself, with 75 terms and abbreviations requiring explanations in the report’s glossary.) Still, opportunities abound for new efficiencies. 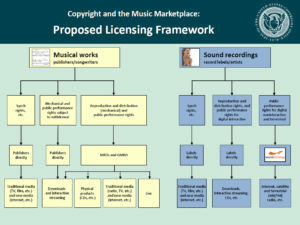 “Market participants should have access to authoritative data to identify and license sound recordings and musical works”: At current, there really is no master database linking the different kinds of rights, rights owners, and permissions, let alone a recognized clearinghouse of that data. After comparing these principles to the current state of US copyright law, the report spills out something like 65 pages of recommendations. Here is WorshipFuel’s short list of the Five Things we noted and would like to provide more detail about in the coming months. With separate licensing processes and bodies for two different classes of objects—the “works” created by songwriters and publishers, vs. the “recordings” made by record labels and artists—it’s a bit of a wonder we’ve managed the complexity for as long as we have. Diagrams like the ones shown above beg for some sort of anchor—whether legislative, financial, or symbolic—to serve as a hub for multiple overlapping activities. In addition to the MROs who will assume much of the responsibility of the current PROs, the Office recommends the creation of the GMRO, or general MROs, that will act as hubs. That being said, it’s hard at this time to say how churches might be affected by the laws that change or emerge from this report. Will the move to achieve equilibrium between the pay songwriters receive and the rates recordings and record labels are able to negotiate create an environment that births more songs of praise and worship? We hope so. At the end of the day, this detailed and perceptive report is guidance rather than action. 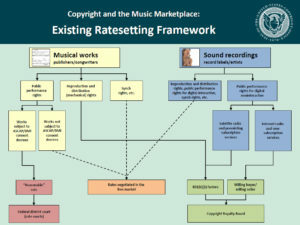 A lot of things can be repaired in the music industry through this guidance. The question is, will congress act on it?